After graduating Phi Theta Kappa, with highest honors from Miami-Dade College, Laureen joined the practice in 1997. Immediately following graduation, she was invited to return to the Department of Dental Hygiene at MDC to teach dental radiology and did so until 2006. A current resident of Coral Gables, Florida she makes the one-hour plus commute to Key argo four days a week. For nearly 17 years Laureen has developed many close relationships with her patients and their families. "When people ask how many children I have I tell them about a thousand." She has seen many of her younger patients through grade school and college. She and Todd Wheeler, her husband of five years share their home with two cats: Monkey and Kahlua and cherish their time spent with Todd's son Quentin, 14, who attends Palmer Trinity school. A staunch animal welfare advocate, Laureen works with over 1000 rescue organizations through social networking to "be the voice of the voiceless." Her time away from the office is usually spent doing "anything creative" specifically interior design and event planing. Laureen is the contributing editor for this website. 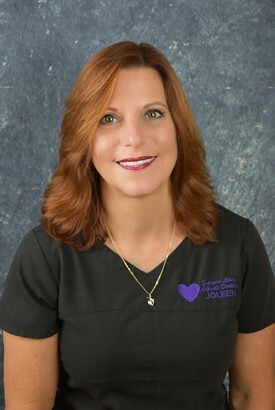 Joleen Barrett graduated with honors from Broward Community College in 1991 and began her career in dentistry as a Certified Dental Assistant. 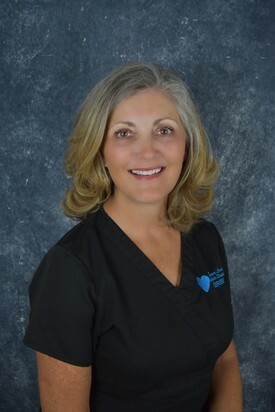 She became a Registered Dental Hygienist in 1995 and joined our practice in 2008. A stickler for detail, Joleen is the perfect fit for overseeing and managing our busy front office. Joleen is the one employee every office has that you cannot do without as she is the "go to" person for all the details that help us get through the day. During her time away from the office, Joleen enjoys cycling, camping, hiking, swimming and scrapbooking (we think it's the scrapbooking that keeps her in shape). She is most famous, however, for her chocolate martinis. Dennis graduated with honors from Miami-Dade College in 2001 and joined our practice in 2003. A native of Kingston, Jamaica, Dennis makes up 1% of male dental hygienists in a traditionally female dominated profession. When asked to write a profile for our website he provided me with the following information which is true to his quirky sense of humor: I am a Pisces, my shoe size is 7.5, my favorite color is blue and cabbage makes me burp. All kidding aside, he is one of the brightest people you will ever encounter, a great conversationalist and a true master of music trivia. Forever the perfectionist, his fellow co-workers strive to live up to the quality of the work he produces. 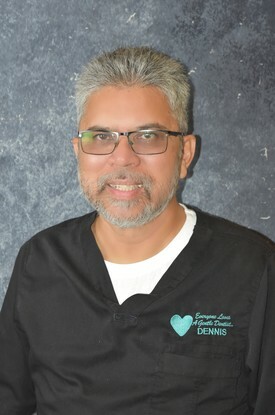 Dennis is certified to administer local anesthesia. Cerise began her dental career as an orthodontic assistant in 1981. After assisting for over 6 years, she decided to return to college to study dental hygiene at Miami-Dade College where she participated in honors clinic and was the recipient of the Betty Meador Award. After graduation, Cerise was asked to serve on the advisory committee board for the Department of Dental Hygiene where she currently serves today. 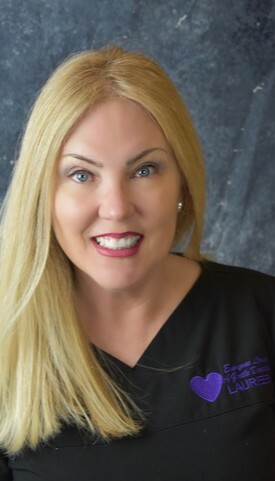 "Reesie" as she is most affectionately known, is the most recent addition to our practice and brings with her over 30 years of dental experience. A resident of the Florida Keys since 1978, Cerise and her husband of 32 years, Buddy Pinder, are the proud parents of son Brandon who resides in Marathon, Florida and works as the IT specialist for 3 major resorts and daughter Carrlee who recently graduated from Baylor University with a Bachelor degree in Psychology. A seasoned traveler, Cerise has ventured to Columbia, Africa, Brazil, Thailand, Vietnam and Burma just to name a few. During her travels, she became involved in humanitarian work in addition to enjoying and experiencing the different cultures and landscapes.